MQTT mission is to teach the value of accountability and responsibility associated with Social Media and Tech. Embracing and accepting the diversity of color and cultures. Helping to amplify the value and importance of diversity in technology. about my personal and professional background. help and mentor kids of all ages and cultures. volunteer, organizer and blogger and teacher with KidsCamp. since 2012 with my first one being WordCamp Orlando. South Carolina State University – Orangeburg, S.C.
learning with diverse levels of technology usage and application. in the area of STEAM and technology instruction. technology in the classroom environment to facilitate learning. Social Media for personal and business usage. youth, teens and young adults focusing in STEAM education and hands-on learning. presentations to the local communities and media sources. and global communication with Social Media. either low tech or high tech applications and equipment. web based instruction, project based instruction and learning. information pertaining to active membership participation. AM1360 WCGL Jax Engage with Angela Spears. media use, accountability and responsibility. assessments, maintain and repair hardware. Provide school and community training. incorporate Social Media in small and medium businesses. on a digital platform with SEO – Search Engine Optimization. 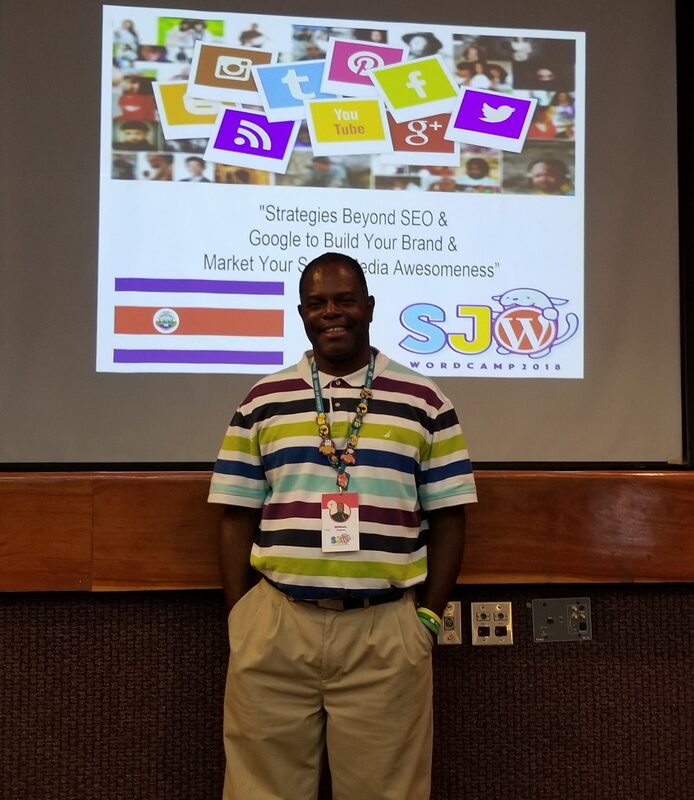 Healthy Jacksonville Men’s Health Coalition, Inc.
More Than a Hash Tag – Social Media and its influence. business, education and entrepreneurial growth. the School to Prison pipeline. Technology Instructor for evening community education classes. Teaching productivity tools in certified educational curriculum. Speaking on safety and content creation on Social Media Platforms. staying connected with so much technology. Presentation on the influence and power of Social Media. Using it be a community activist and support activism in the community. content across generational and social lines. in technology and educational learning. in a networking rich and professional setting. the integration of technology and student learning. technology to meet the diverse needs of students. educators locally in their school districts and nationally. through NASA for novice teachers. technology into the diverse classrooms. in the classroom for instructional purposes. Technology instruction for seniors citizens (55 and up). Technology Instructor – Modeled instruction on the implementation of technology into the learning environment using productivity tools. for classroom use and the implementation of technology into classroom curriculum. a two-week summer institute for K-12 teachers. The objective of the institute is for participants to increase their knowledge about Africa, including its geography, history, and culture. Blogs, Podcasts, Data Warehousing and Photo storage and manipulation. text, audio and video techniques. Dialogue on racism, colorism, White privilege, bias and prejudices in our culture. ramifications of bullying. How it affects kids mentally and emotionally. The integration of language in Social Media and STEM. the source of interacting with those who have more seasoned wisdom. throughout their lives regardless of age. Submissions to local and state wide newspapers and magazines. First Coast News – Black Refer.com, Blogger for E3 Business Group. Inc.
community conferences from 1998 to Present. Multicultural festival promoting African American Pride. Presented workshops on technology and Historically Black Colleges and Universities. Boys and Girls Club of America – Keystone Leadership Conf. Internet Safety, Social Media and Social Network Safety. Do You Need to Translate this Site? This information contains My WordCamp Journey from my first attendance at WordCamp Orlando from 2011 to the present. Documenting my growth and development from an Attendee to an Organizer and Advocate for increased youth, teens and young adults of color and culture to attend, participate as volunteers, growing to be speakers and learning leadership skills to be Organizers. As a graduate of South Carolina State University I want to inspire and encourage HBCU students, faculty, staff, administration and support persons to also get involved and engaged.